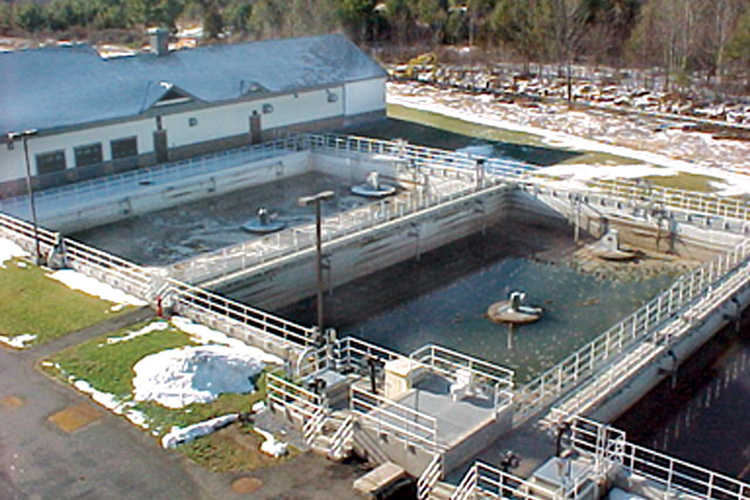 Flow enters the bioreactor where a series of independent phases promote biological treatment. Separate mixing and aeration devices allow the contents of the reactor to undergo biomass conditioning and nutrient reduction by alternating aerobic and anoxic periods. Following quiescent settling, supernatant from the reactor is transferred from the first barrier to the cloth media filter. Inlet water passes through the cloth media or second barrier. 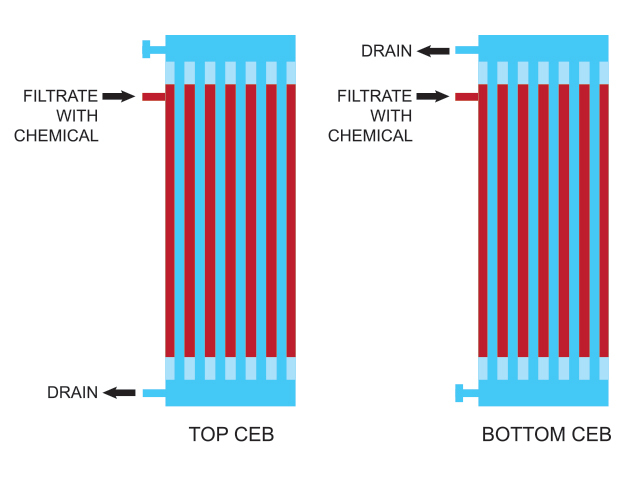 Filtered water is collected in the center tube where it is directed to a supply channel that feeds the external microfiltration membrane system. The membrane system is the final barrier of the AquaMB Process®. Feed flow enters the membrane module where low positive pressure enables the fluid to permeate the membrane, excluding fine particulates down to 0.02 microns in size. Filtrate from the membranes is directed to final discharge or reuse application. Periodic chemical cleaning removes organics and mineral deposits. Fully automated with manual option. In-situ cleaning; removal of membranes not required. Membranes are compatible with a variety of cleaning chemicals. White Paper Alternative to Membrane Bioreactor to Achieve High Effluent Quality Application of progressive staged filtration following the biological system.